The first assignment is titled ‘local communities’ and requires producing a submission of 10 images that demonstrate engagement with “the lives, experiences and histories of your locals community and its people.” The technical requirements are to use one camera and lens with a fixed focal length. I live (and am from) Stanley, Co. Durham in the north-east of England. Stanley is a former mining town situated half way between Newcastle and Durham, although the mines have long since closed the effect of post-industrialisation can be felt throughout the area. I have an ambivalent relationship to my local area – I have lived here most of my life and there are many things that make me proud to be from this particular part of the world, and paradoxically, also a small town small mindedness that I cannot bear. When I started thinking about this assignment, I found the word ‘community’ difficult to use in connection with where I live. I rarely use the local facilities, work and spend most of my leisure time outside my immediate area. When I mentioned this to my tutor he challenged back asking did my children not go to a local school and did this alone mean I had strong community ties? This caused me to reflect that perhaps the negative feelings I have for my hometown are based on innate prejudices I hold rather than reality – how I feel rather than being based on reality – a subconscious self-criticism about not spreading my wings further? All of this started me thinking about photographs I take locally – they mainly focus on the negative aspects; the run down, damaged and derelict. In two previous courses I have photographed Stanley, for Digital Photographic Practice I even deliberately focused on these aspects. The initial parts of documentary have started me thinking about objectivity and truth and whether these can ever be represented in a photograph: although we take pictures of the real world and things that exist – perhaps the most important choice any photographer makes is what to exclude from the frame. I am far too close to my local area and hold too many prejudices to be able to detach myself and be objective, even if I try to do this consciously I am sure my latent feelings will influence me. This led me to consider how I could alleviate this issue. What if I was to photograph in a way that is random, maybe even taking away the need to press the shutter at all? I initially thought about sourcing a small digital camera specifically for the purpose – an initial search of available products describe these as ‘spy cameras.’ This started me thinking about how the project could branch our to explore ideas of surveillance and the ethics of taking photographs of people when they are unaware. I assumed the image quality would also be low which could lead to an interesting investigation into how this affects our perception of reality in images. 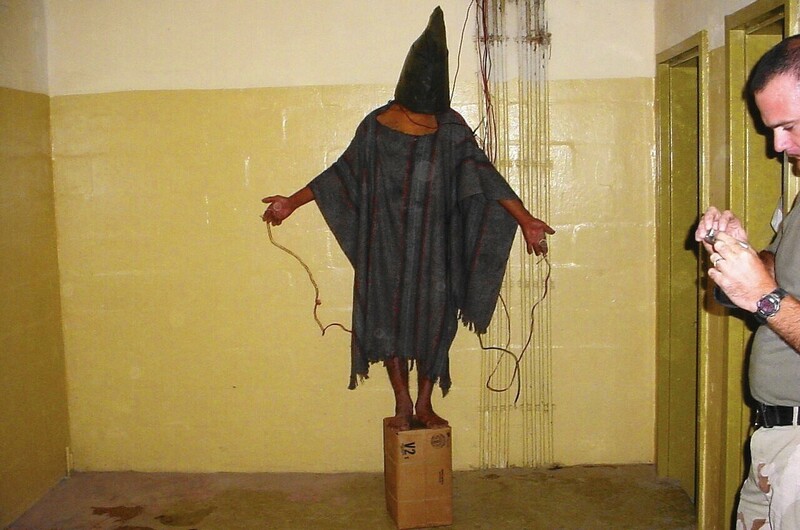 I find that images are felt to better represent reality because they are low quality a fascinating notion, for example, the famous photographs of prisoners in Abu Ghraib were held to be more authentic precisely because they were such low quality and lacked technical finesse. I spoke about these ideas with my tutor and with students in our first documentary hangout and was pleased with the response which makes me thinks there is mileage in the idea. I did find articulating my thoughts and particularly my feelings about my local area difficult, however, and it struck me that I have not really done this before. Other students I have come into contact with are much more confident at this, perhaps because they have greater experience at articulating their projects. Making a conscious effort to share my ideas and what I am working in the hope this will translate back into being more confident with my work. One of my main difficulties is procrastination fuelled by self-doubt – something I urgently need to address in the move to level 2 to prevent this becoming a barrier to progression.